Learning self defense is almost essential when living or working in a large city like San Diego. Defensive items like pepper spray and other weapons only work if you can reach them in time; what if an assailant catches you by surprise? Or worse yet, a potential assailant has their own weapon? Being able to defend yourself in a dangerous situation makes you more confident and gives you piece of mind. 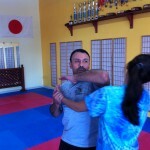 IKM San Diego offers classes in self defense for women, focusing on Krav Maga for self defense. For more information on self defense classes for women at IKM San Diego, contact IKM San Diego instructor Benjamin Halcewicz at (858) 349-8795. Krav Maga was originally developed by Imi Lichtenfeld and adopted by the Israeli Defense force and the Israeli police force. Krav Maga incorporates different martial arts techniques with the goal of disarming and escaping an assailant. IKM San Diego students of self defense learn the safest and most efficient ways to disarm opponents in realistic situations. In addition to physical training, students receive mental training that prepares them for dangerous situations. They become more aware of their surroundings, more adept at finding safety, and more determined to never give up under any circumstances. IKM San Diego’s specialized classes in self defense for women offer a supportive and encouraging environment for all experience levels. Learning self defense not only prepares you for whatever situation you find yourself in, it also offers you a great opportunity for exercise and stress relief. If you want to feel safer when you are alone, or even if you just want an opportunity to learn practical, non-competitive martial arts, sign up today to learn life-saving Krav Maga techniques for self defense in San Diego. Call IKM San Diego and sign up for your self defense class for women today at (858) 349-8795. 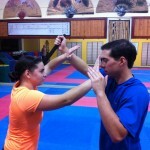 IKM San Diego’s classes in self defense for women are taught by owner and head instructor, Benjamin Halcewicz. Benjamin has been practicing martial arts for nearly 30 years. He holds a degree in Sports Education and a first aid certification. IKM San Diego is affiliated with International Krav Maga, an organization started by one of Benjamin’s former Krav Maga teachers. Benjamin teaches classes in a variety of settings with all different types of students. These classes include large groups, small groups, and individual lessons focusing on skills for women, children, or the general public. 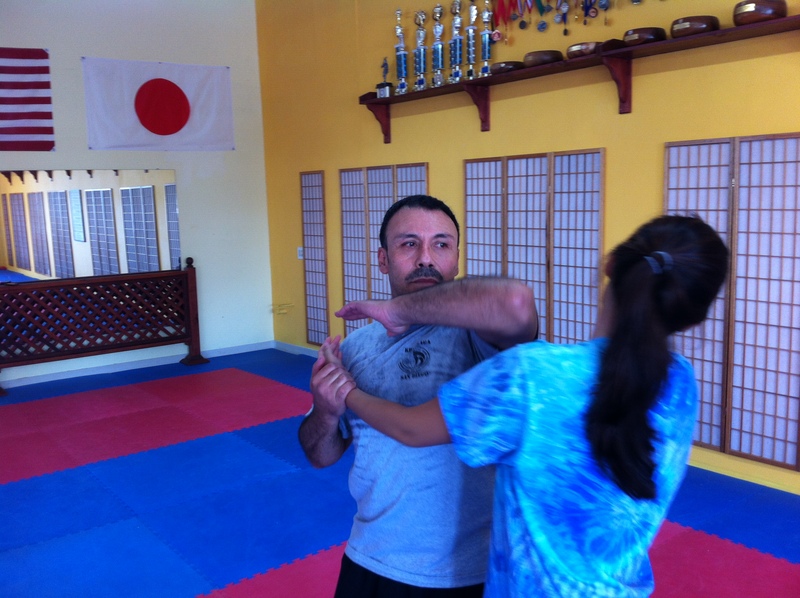 IKM San Diego now holds Krav Maga self defense classes for women in San Diego on a regular basis. Self defense is an important skill that you hope you never have to use, but the sooner you learn it, the more prepared and secure you will feel about any dangers you encounter. If you are interested in joining our self defense classes for women contact IKM San Diego at (858) 349-8795 for class scheduled and seminar information. Call (858) 349-8795 for details.